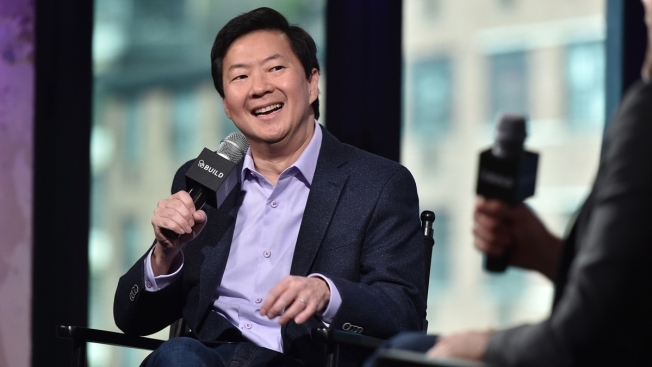 Actor Ken Jeong participates in the BUILD Speaker Series to discuss his television series "Dr. Ken" at AOL Studios on Thursday, Sept. 22, 2016, in New York. Jeong helped an audience member at a comedy club in Phoenix who was having a seizure on Saturday. Jeong has appeared in "The Hangover" movie franchise and TV's "Dr. Ken" and "Community." Heather Holmberg, who was in the audience of the show, told USA Today that Jeong thought he was being heckled before he realized audience members were asking for help. "It was a moment where time stands still. Someone was having a crisis. There was a hush over the room," she said.